ABOUT BIT ZESTY We are an innovation agency specialising in making digital experiences that create real value for users and organisations. We make digital products for clients across a variety of industries – including startups, large enterprises, charities and government bodies – as well as building and maintaining our own SaaS products. We believe in creating a workplace where employees are given the opportunity to grow and better themselves, have their opinions heard, socialise with colleagues and genuinely enjoy the work they do every day. Our whole team is committed to working together to achieve industry-leading results. BEING A RUBY ON RAILS DEVELOPER AT BIT ZESTY As a Contract Lead Ruby on Rails Developer at Bit Zesty you will be working alongside the product management and UX design teams to make the products we build rock-solid and scalable. It is the perfect opportunity for someone who is experienced in creating dynamic web applications and passionate about clean code and is looking for a long-term contract. Design Take wireframes/mockups and user stories and build systems that meet the requirements Create user-friendly web app interfaces by working closely with UX designers and front-end developers Develop Design, build and maintain efficient, reusable, and reliable Ruby code. Devops: improve automation of the software development process. Identify performance issues and bugs, and provide solutions to these problems. Collaborate Work with other team members to ensure we are building the right product Participate in code reviews Pair-program with other developers or discuss possible technical architectures Contribute to creating a culture of writing excellent software WHAT WE ARE LOOKING FOR 4+ years experience developing applications with Ruby on Rails Expert in HTML, CSS & JS Excellent knowledge of SQL (MySQL/PostgreSQL) Experience with NoSQL (MongoDB/CouchDB/ElasticSearch) Passion for good user experience Passion for technology Superb organisational skills and attention to detail Ability to take initiative and work with minimal supervision University degree in Computer Science, Software Engineering or a related subject WHAT WE OFFER A friendly, open-minded and collaborative team working closely with the CTO Autonomy, we don't micromanage our teams Challenging environment - you will be working on complex projects Day rate dependent on experience 200-250 EURO . Job Description Analytics Fire builds custom software for the solar power industry. We’re looking for a senior embedded developer with deep experience developing, testing, and debugging embedded software in a Linux environment to help us expand our services to support manufacturers in additional new high-tech sectors. Analytics Fire is a small, distributed team working on a range of interesting projects. For example, last year we helped build a custom IoT platform for utility grade solar power plants, sales software for residential solar systems, and a machine-learning powered autonomous cleaning robot. We’re looking for a fun, reliable, and highly collaborative, senior developer to join our team. This is a remote position. We’re flexible about location and hours, so long as your working hours are within a European or US-overlapping time zone. We’re a really great match for a senior developer who wants to work hard on interesting projects, while simultaneously having flexibility around time and geography. Skills & Requirements Ideally, you should have 5+ years developing, testing, and debugging embedded software in a Linux environment. You should be comfortable autonomously driving your own high quality / high velocity contributions using a range of technologies. Required skills: Expert level experience developing, testing and debugging embedded software in a Linux environment Development experience using Python, C, and C++ Expert-level network systems experience using connman, BTLE, and dbus Basic hardware experience (cabling, basic troubleshooting) 5+ years Linux administration experience; Expert-level Linux scripting skills Basic understanding of web technology Strong verbal and written communication skills Nice to have: Previous experience creating custom Linux-based systems using Yocto Analytics Fire has a very polyglot technical culture. Our ideal candidate has expert-level skills in the above categories, but also have a secondary skill set in one of the following areas: DevOps automation Full stack software engineering (React, Angular) Scientific computing with C++ and Python Computer vision / machine learning (PhD-level) About Analytics Fire Analytics Fire was founded by a couple of engineering nerds -- one a PHd in machine learning and the other a former VP of Engineering for an analytics platform -- who both are also serial entrepreneurs backed by prominent angels and VCs including Y Combinator and 500 Startups. “Our goal founding Analytics Fire, was to create the engineering department that we always dreamed of working for. For us this meant being able to spend our time working on the hardest and most interesting technical problems that we could find, being part of a small, tightly-knit team of world-class engineers, while simultaneously having flexibility around time and geography. ”. In this job, you'll be challenged like never before. But not in the way you're used to. Not on the technical stuff. We know you can do that (and you will get to do that, for sure). No, we'll challenge you on a personal level, to let go of all the little places where you're playing small, hiding, doing what's familiar, instead of what's right or what's needed or what serves or what really makes a difference. We will see you. We will love you. It's okay to feel stuff, to be sad, happy, confused, excited, upset, playful. We understand. Working for Simplero will impact your life all around: Your relationships. Your health. your body. Your self-image. Your family. You will not be the same person you were. If you're the right person for us, you're going to absolutely love the transformation and love being here. There will be no holds barred. Are you in? Make sure to explain why this resonates with you in your email. Requirements Great developer Love writing code Love working with other people writing code Smart as heck! Mensa member? Great at thinking clearly Good at communicating because you’re great at thinking clearly Love solving problems Good at reading code, commit messages, understanding code Know how to invest resources wisely 100% fluent English speaker PLUS: Good at hiring other smart developers PLUS: Good network of other smart developers to hire from PLUS: A Mechanic in the Wealth Dynamics system Simplero is a fantastic place to work if you… Love growing personally, learning more about yourself Love learning new things Love being involved in helping other people grow and live their purpose Love working with other smart people who are disciplined and take their responsibility very seriously, while also being relaxed, having fun, and care about and supporting each other. Love being of service Tech details Rails 5. 2 MariaDB 10. 2 for most data needs, PostgreSQL for logging React with Relay,GraphQL, EcmaScript, etc. for certain parts of the UI ElasticSearch, Memcached Liquid for our themes/templating system Deployed on AWS, Fastly for content delivery We’ve built our own in-house logging system that makes it very efficient to track down weird bugs (or user error) when they do happen We love paying off technical debt and staying current with technologies We have good test coverage, and we always keep our test suite green We deploy early and often, and fix issues quickly Why you should apply You’ll be doing incredible things (and have fun doing it) with a committed and enthusiastic team You’ll make a huge and direct difference in MANY people’s lives on a product they use daily. Once you’re part of the team, we root for you and encourage you in going where you need to go in your life. Huge opportunities for personal growth. Working at Simplero is a life-changing experience, just ask around on the team. Work from anywhere, extremely flexible Salary and profit sharing Private and bootstrapped company, no political BS, no positioning company for IPO to the detriment of users and team members Three team retreats a year: This year we've been to Woodstock, NY, Palermo, Sicily, and next month we'll meet in Tisvilde, Denmark. About Simplero Simplero was founded by and is led by Calvin Correli, a very talented developer, who has been programming since he was a kid, and has been on Rails since the very beginning. He’s from the same city as DHH, and created the third ever production Rails app. Simplero is a Software as a Service platform for small business and solopreneurs selling online courses in everything from business, marketing, and how to rent your house on AirBnB, to yoga and meditation and how to live a happy life. We have an incredible, dedicated team and brilliant and amazing customers. Our product runs very reliably and has proven valuable to millions of people all over the world. Each of our roughly 1000 customers have customers of their own using our platform, for a total reach of over 6 million people all over the world, and growing each week. .
Our mission. As the world’s number 1 job site, our mission is to help people get jobs. We need talented, passionate people working together to make this happen. We are looking to grow our teams with people who share our energy and enthusiasm for creating the best experience for job seekers. The team. We are a rapidly growing and focused product team building the most popular job site on the planet. Every month, over 200 million people count on Indeed to help them find jobs, make it easy to apply, research companies, and connect qualified candidates to their job openings. With product teams in Austin, Tokyo, Seattle, San Francisco, Singapore and Hyderabad, we are improving people's lives all around the world, one job at a time. Your job: You will help design and build every programming assessment we offer using a number of software engineering methods and tools. It’s a highly analytical role that will challenge you to cover several languages and subject areas and figure out how to assess job candidates in ways that are fun, stimulating, and predictive of future job performance. You’ll be working closely with our product managers, subject matter experts, QA teams, and technical writers to implement your ideas. Day to day you will: Design and create new and innovative types of technical and programming assessments Review and approve all assessments before they are published Analyze and validate assessments to improve their effectiveness at predicting job success Code approximately 70% of the day About you. Expectations: 5+ years of experience as a software engineer Proficiency in a minimum of 3 programming languages (Java) + JS, Python, Ruby or PHP Min BS in Computer Science Excellent written and verbal communication skills Experience working in a start-up environment preferred You move fast, are able to change directions quickly, and can manage a pace of 3-5 assessments (products) being developed simultaneously You are passionate about creating and validating highly-realistic assessment content that is practical and helpful for job seekers Experience as a technical writer/blogger a plus Indeed provides a variety of benefits that help us focus on our mission of helping people get jobs. View our bounty of perks: http://indeedhi. re/IndeedBenefits. Our mission. As the world’s number 1 job site, our mission is to help people get jobs. We need talented, passionate people working together to make this happen. We are looking to grow our teams with people who share our energy and enthusiasm for creating the best experience for job seekers. The team. We are a rapidly growing and highly capable engineering team building the most popular job site on the planet. Every month, over 200 million people count on us to help them find jobs, publish their resumes, process their job applications, and connect them to qualified candidates for their job openings. With engineering hubs in Seattle, San Francisco, Austin, Tokyo and Hyderabad, we are improving people's lives all around the world, one job at a time. Your job. Our Assessments team has a simple mission: help candidates get the right job. We let people build a profile to demonstrate their knowledge, skills, and abilities using job assessments… we’re trying to make the resume a thing of the past. Our team is highly distributed geographically so this position is open to remote candidates anywhere in the US, Canada, or Brazil as well as in our offices in Austin and San Francisco. Our team is nimble and scrappy. We ship new capabilities often and quickly by explicitly asking ourselves the 80/20 question a. k. a. the Pareto Principle. You will: Build the core functionality of our assessments platform and own design and execution Develop our API and integrations with external applicant tracking systems like Greenhouse and Jobvite Scale to serve 100M+ job seekers About you. Requirements 4+ years industry experience in Java BS in Computer Science or related area, or relevant work experience 6+ years industry experience in software development We get excited about candidates who: Has a passion for performance and scalability Has a strong sense of ownership in every application they build Significant experience with large-scale, high-performance systems Thrives on simplifying complex information Deep understanding of software architecture View our bounty of perks: http://indeedhi. re/IndeedBenefits. Our mission. As the world’s number 1 job site, our mission is to help people get jobs. We need talented, passionate people working together to make this happen. We are looking to grow our teams with people who share our energy and enthusiasm for creating the best experience for job seekers. The team. We are a rapidly growing and highly capable engineering team building the most popular job site on the planet. Every month, over 200 million people count on us to help them find jobs, publish their resumes, process their job applications, and connect them to qualified candidates for their job openings. With engineering hubs in Seattle, San Francisco, Austin, Tokyo and Hyderabad, we are improving people's lives all around the world, one job at a time. Your job. Our Assessments team has a simple mission: help candidates get the right job. We let people build a profile to demonstrate their knowledge, skills, and abilities using job assessments… we’re trying to make the resume a thing of the past. Our team is highly distributed geographically so this position is open to remote candidates anywhere in the US and Canada as well as in our offices in Austin and San Francisco. Our team is nimble and scrappy. We ship new capabilities often and quickly by explicitly asking ourselves the 80/20 question a. k. a. the Pareto Principle. You will: Build the core functionality of our assessments platform and own design and execution Develop our API and integrations with external applicant tracking systems like Greenhouse and Jobvite Scale to serve 100M+ job seekers About you. What we are looking for: Deep web application development experience for complex apps Ruby on Rails experience is a must Sr Level, 7+ years of recent industry experience Our hiring process We don’t care very much about your resume or your interviewing/whiteboarding skills. We want to see your code! Our first step is a short phone call with us so you can ask questions. The second stage is a short take-home work sample where you get to work ona small but realistic real-world feature on a scaffolded web app. The final stage is a paid multi-day project where you’ll work onour actual code base. This is the ultimate job preview for you and for us! Indeed provides a variety of benefits that help us focus on our mission of helping people get jobs. View our bounty of perks:  http://indeedhi. re/IndeedBenefits References Visible links 1. http://indeedhi. re/IndeedBenefits. Our mission. As the world’s number 1 job site, our mission is to help people get jobs. We need talented, passionate people working together to make this happen. We are looking to grow our teams with people who share our energy and enthusiasm for creating the best experience for job seekers. The team. We are a rapidly growing and highly capable engineering team building the most popular job site on the planet. Every month, over 200 million people count on us to help them find jobs, publish their resumes, process their job applications, and connect them to qualified candidates for their job openings. With engineering hubs in Seattle, San Francisco, Austin, Tokyo and Hyderabad, we are improving people's lives all around the world, one job at a time. Your job. Our Assessments team has a simple mission: help candidates get the right job. We let people build a profile to demonstrate their knowledge, skills, and abilities using job assessments… we’re trying to make the resume a thing of the past. Our team is highly distributed geographically so this position is open to remote candidates anywhere in the US or Canada as well as in our offices in Austin and San Francisco. Our team is nimble and scrappy. We ship new capabilities often and quickly by explicitly asking ourselves the 80/20 question a. k. a. the Pareto Principle. You will: Build the core functionality of our assessments platform and own design and execution Develop our API and integrations with external applicant tracking systems like Greenhouse and Jobvite Scale to serve 100M+ job seekers About you. What we are looking for: Deep web application development experience for complex apps Our stack is JS/CSS and we are currently heavy in React (must have) Sr Level, 7+ years of recent industry experience Must have experience with architecture, scalable systems and conducting code reviews Must have experience in back end development (Java, Python, Ruby on Rails, Node) Our hiring process We don’t care very much about your resume or your interviewing/whiteboarding skills. We want to see your code! Our first step is a short phone call with us so you can ask questions. The second stage is a short take-home work sample where you get to work on a small but realistic real-world feature on a scaffolded web app. The final stage is a paid multi-day project where you’ll work on our actual code base. This is the ultimate job preview for you and for us! Indeed provides a variety of benefits that help us focus on our mission of helping people get jobs. View our bounty of perks:  http://indeedhi. re/IndeedBenefits References Visible links 1. http://indeedhi. re/IndeedBenefits. We created Sticker Mule to be the best place to work and shop. That means making ordering fast, simple and fun while creating a stable, low stress and enjoyable place for talented people to work. We're searching for more to join us as we look to build one of the Internet's best technical teams. Some of our current projects include migrating to a service architecture, inter-service communication with GCloud PubSub and GRPC, API Gateway based GraphQL, event sourcing persistence and CQRS, and manufacturing and artwork processing automation. See more about our teams here Why we enjoy working here 1. We work flexible hours with an asynchronous culture. 2. We work at a sustainable pace without unreasonable external deadlines. 3. Varied, interesting technical challenges to work on. 4. Opportunities to make a large impact as part of a small, highly motivated team. Our tech stack 1. Backend: Ruby on Rails, NodeJS, Go 2. DB: Aurora/Mysql, Postgres, Redis 3. Frontend: React, Redux, Webpack 4. APIS: GraphQL, GRPC, GCloud PubSub 5. AWS, migrating to Gcloud 6. Docker, Kubernetes What you'll do 1. You’ll be responsible for writing and maintaining software critical to our automated manufacturing process 2. Continually seek ways to optimize those processes. 3. Write clean, performant code in accordance with our team’s code style guidelines. 4. Work to improve and maintain the code health of all our software. 5. Collaborate with other developers, team leads and stakeholders to ensure that we’re always building the optimal solution. 6. Participate in peer code reviews. 7. Share expertise with other members of the team, mentor junior developers. 8. Spend some time on-site at our factory to learn about software requirements and maintain existing software. About you 1. You have a minimum of 3 years professional software development experience. 2. You’re highly competent in multiple general purpose languages. C++ and Ruby would be especially beneficial. 3. You’re confident in mathematics relevant to computer graphics. 4. Experience with the following would be highly beneficial. -Printing and related issues like color management. -Vector and raster graphics generation and manipulation. 5. Familiarity with QT would be beneficial. 6. You are experienced in using and building web services. 7. You possess strong analytical and critical thinking skills. 8. You have great written and verbal communication skills in English. Compensation 1. $90,000-$115,000+ depending on experience 2. Signing bonus 3. 28 days vacation Requirements 1. This position requires regular visits to our manufacturing facilities in upstate NY. 2. Must be located within reasonable travel distance to upstate NY or Pisa, Italy. 3. Applicants will be sent a Hackerrank test within 1-2 business days of applying. 4. Test must be completed within 5 business days. .
self-motivated and capable of working from home open to discussions and a mindful communicator willing to be part of a team & yet able to work independently paying attention to details open-minded and respectful – regarding people, technologies and projects happy to become part of a small team of friendly & skilled professionals About Tower & fournova We are a small, fully remote software company based in Germany. Founded in 2010, we set out to make Git’s powerful feature set accessible to developers, designers, and non-technical people. Today, our software Tower is the best Git client for Mac and Windows and is used by over 100,000 customers - from startups to Fortune 100 companies. We know we can achieve great goals only with the help of our peers. And at fournova, we are blessed to work in a team of extraordinary people. We’re not looking for someone to do the job. We’re looking for someone to join the team. Values at fournova We are a team driven by values. Not the ones that look nice on a poster, but ones that are truly and honestly lived. TRUST - We believe our colleagues make good & fair decisions. For example when they take as many vacation days as they need (there's no maximum number of holidays, but a minimum of 24 days). Or when they handle company money responsibly (you can make any purchases without asking for permission). We don't control or micro-manage people. RELIABILITY - At fournova, you're allowed to make any decision. Even if it's outside of your typical scope of duty. As a consequence, however, you also have to accept responsibility. We rely on our teammates to do their very best work. RESPECT - We have a deep and sincere respect for each other. Both on a professional and on a personal level. We know we can achieve great goals only with the help of our peers. HUMILITY - We do what's best for the team. This shows when you're supporting a team decision even if you'd prefer something else. And this shows when making profits: we donate 10% to a good cause every year. HEALTH - We require everyone to give 100%. But not more than that! Working long hours or weekends is rarely seen at fournova. If you want, you can even choose to work only a 4-day week. We encourage you to pursue a life beyond work! PRAGMATISM - We concentrate on the tasks that matter. Many things at fournova could be improved. But reality limits our time and energy in a painful way. To get meaningful work done, we need to live with countless little annoyances and concentrate on the things that bring us forward. GROWTH - All of us have a strong desire to grow. And fournova wants to help you achieve this. On the professional and on the personal, human level. 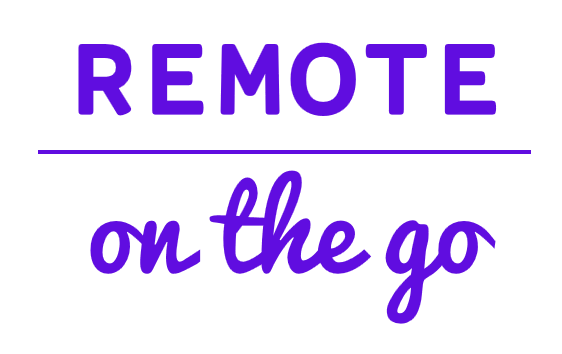 REMOTE WORK - We are strong believers in freedom & flexibility. Therefore, you can work from wherever you want. In order to keep in touch, however, we meet in person at least once every quarter: for our "General Assemblies" in Frankfurt or Berlin, and for our great team retreats in places like Corsica or Barcelona. Is this a culture that resonates with you? Can you contribute something to make fournova even better? Yes and yes? Then please get in touch with us!. About Pivot Bio Fueled by an innovative drive and a deep understanding of the microbiome, Pivot Bio is pioneering game-changing advances in crop nutrition. Our proprietary ON Technology™ harnesses the power of naturally occurring microbes to give crops increased access to key nutrients. It’s a smart, sustainable way for farmers to improve yield as they work to help feed the world’s growing population. Position: Software Engineer. Remote OK. We are seeking an experienced full-stack engineer to design, build and maintain tools that streamline our research and development efforts. This role is an essential part of our informatics team and will help our team of researchers develop a pipeline of products to support the agricultural community. Responsibilities: Independently design and develop data, software, or technology solutions to answer scientific or business questions Demonstrate proficiency across a range of technologies related to programming languages, data integration, data warehousing, and data visualization and analytics Collaborate with local informatics and research scientists to identify and understand their analytical and informatics needs and translate these into solutions Implement informatics solutions in the biological science domain in a variety of programming languages and environments. Develop solutions in an iterative and interactive development model while working directly with end users Communicate and collaborate effectively with colleagues in varied scientific and technical roles Be equally comfortable working independently and within a team depending on project needs Stay abreast of developing technologies, development tools, practices, methods and libraries Present projects and systems in front of both scientific and technical audiences Required skills, experience: BS or MS in computer science, software engineering or related STEM discipline with 5+ years professional programming experience Full stack experience with Python, Ruby or Go Relational database experience (SQL) including schema design Test-driven development, continuous integration, deployment and automation Experience with cloud computing (Amazon AWS, Google GCP) A background or experience in the biological sciences, agriculture, biomedical engineering or bioinformatics (education or experience) is highly desirable Demonstrated ability to independently plan, design, execute and maintain software solutions. Ability to multitask and work within timelines. Strong writing skills and excellent verbal communication skills. Must be authorized to work in the United States without any sponsorship requirements. .
We're running an Online Hiring Tournament this coming Saturday to hire C# (. NET) Chief Software Architects (USD $100K/yr). This event will include testing. Upon grading the deliverables from the event, we will set up qualified candidates with an interview with the hiring manager. This is a 100% remote, full-time role. As the owner for the architecture and technical delivery of a multi-million dollar revenue per year enterprise software product, it’s your responsibility to ensure that the customers are blown away by the technical differentiation and quality of the product. We want to give you the ability to look at code in ways it has never been looked at before, to understand the interdependency in the code. We are empowering software development and creating higher quality code by using the latest technologies and toolsets. We are excited about using data to make decisions, we are bringing big data and analysis to software development. We are on the cutting edge of software development, and we innovate improvements on the newest technologies. We want people who are adaptable and can learn new things, and can use new ideas and concepts to solve business problems. CANDIDATE REQUIREMENTS Bachelor's degree in Computer Science, Computer Engineering, or Electrical Engineering At least 8 years of experience on hands-on development and related technologies Has worked with back end technologies based and latest development frameworks Has experience working with two or more of data related technologies and familiarity with others from various Relational databases, Nosql databases, Caching systems, Full Text Search engines, Big Data systems. Has good experience with the TDD approach, doing unit testing, mocking, integration/UI testing, behavior driver testing. Has good experience working with, setting up and configuring any continuous integration and delivery systems, any code quality automation technologies. Has experience with one or more cloud or devops services like AWS, Docker, Heroku, Digitalocean, etc. Has experience with one or more front end technologies including templating, CSS and JS frameworks. Extensive experience with unit testing Good proficiency in the English language We recommend that you attend the tournament instead of applying online, as our tournament process will be much faster. .